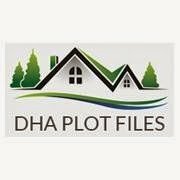 Complete list of Estate agents in Pakistan. You can find the updated list of Estate agents in Karachi, Lahore, Islamabad, Rawalpindi, Multan, Peshawar, Quetta, Faisalabad and other regions of Pakistan with their address, maps, locations, vendors and consumer reviews. You can also compare the Estate agents here and find the best Estate agents here. You can also find the jobs related to Estate agents here. AG Realty deals in sell, Purchase, Contstruct, and Investment Plan. They also deal in Plots, Bungalows, Appartments, Shops, Offices, Portions, Buildings, Floors, Grounds, etc. Menhir Builders are providing Turn key solutions for your Construction needs may it be Architectural, Engineering, Interior Design, Construction, General Building Repair or Maintenance Services. Fakhri Trade Centre is a prime business and commercialy located in the vicinity of I.I chundigar Road and M.A Jinnah Road Karachi Pakistan.